Creative Triangle have been ranked 4th in the UK for our size (10-19 staff) in this year’s annual design industry poll by The Drum. The national census is based on financial performance as well as client and peer polls – thank you so much to everyone who voted for us – we are delighted to be named an Elite Agency. Heathrow asked Creative Triangle to produce an overall design concept for a brand new Airside Operations Facility that offers a number of new facilities for both staff and visitors. The project included choosing soft furnishings and ensuring all concepts fitted within the Airside and overall Heathrow branding style. 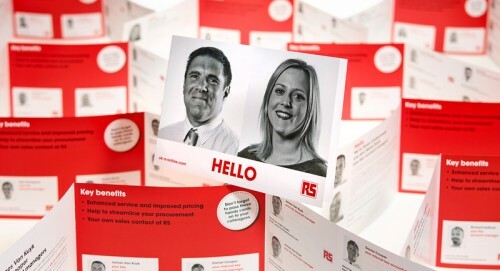 The result is a bright, clean and professional interior that is ready to handle a busy day that Airside Heathrow demands. Using a mixture of Airside graphics, photos, maps and historic timelines, the building acknowledges Heathrow’s successful past whilst looking very much to the exciting future. For visitors who complete one of the extensive Airside training packages there is a flexible training room and driver simulator rooms. For staff, there are over 250 lockers (2 per person), a drying room, a rest room and kitchen that provides a relaxing area airside. 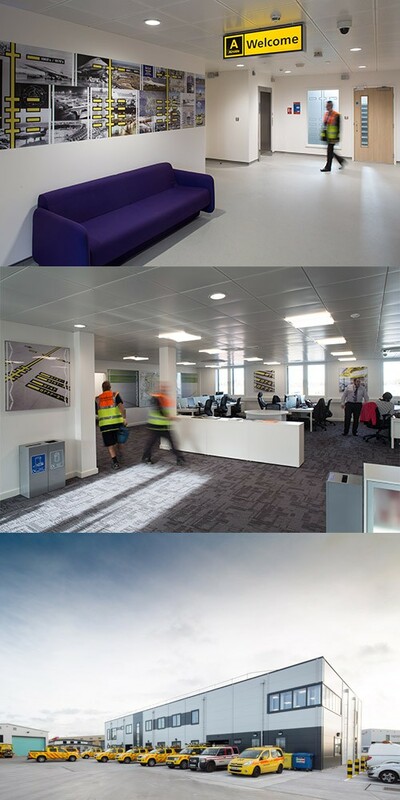 There are also office spaces for all airside duty staff via 26 desks and a series of meeting and conference rooms for day to day meetings or for more specific airside crises. 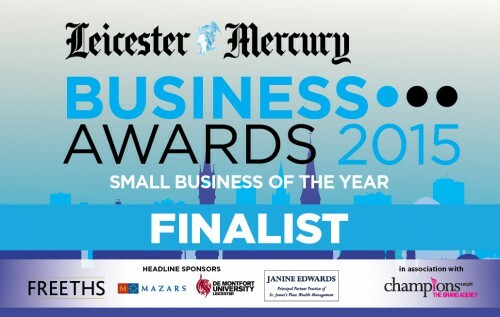 Creative Triangle are delighted to announce that we have been nominated again this year at the Leicester Mercury Business Awards for Small Business of the Year!